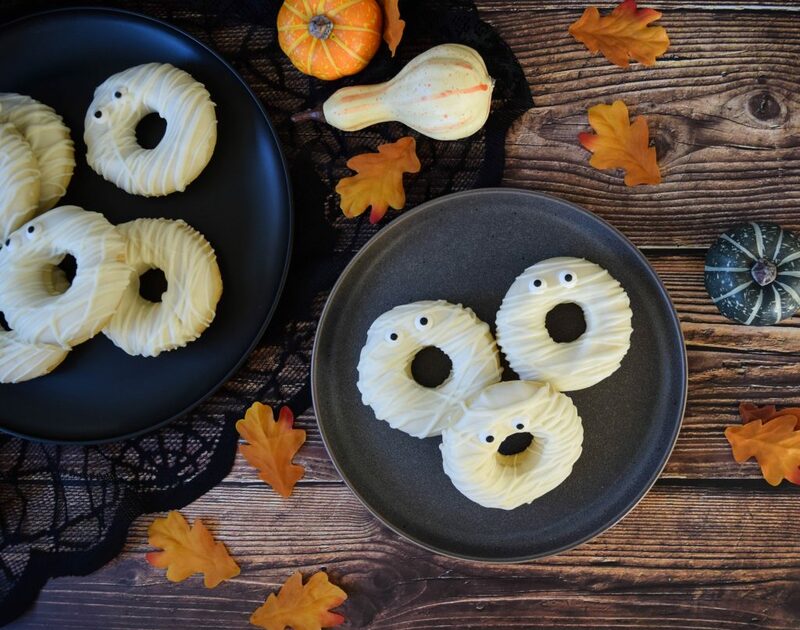 Sweet and spooky, my Mummy Doughnuts are the perfect treat to make for your Halloween festivities. 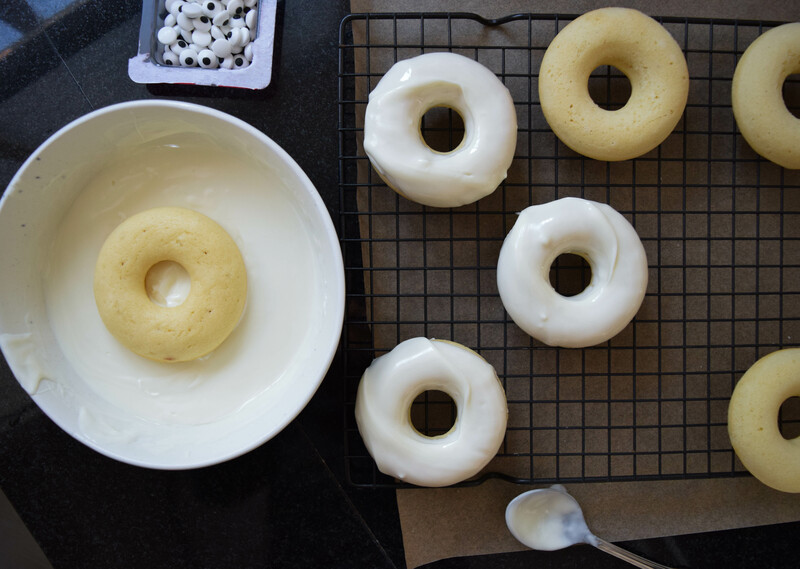 These vanilla cake doughnuts are baked, requiring no messy frying, and slathered in creamy white chocolate once cooled. 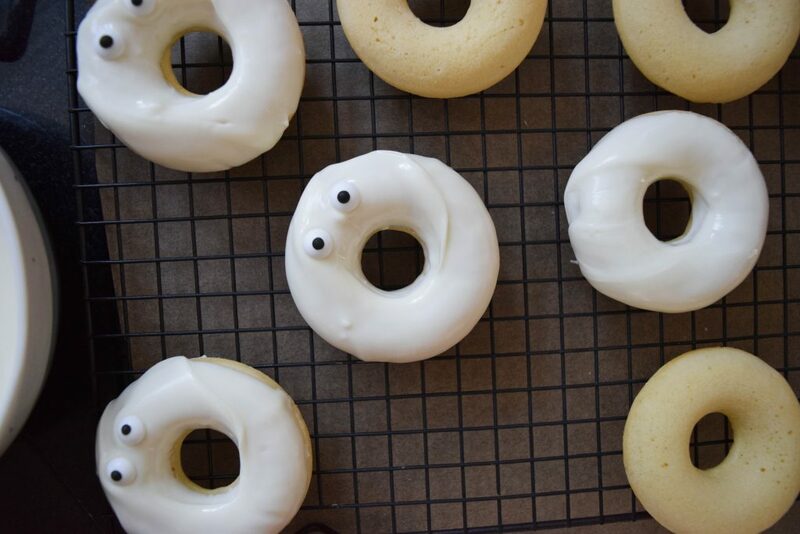 Make a batch this Halloween with your little monsters using your Farmer Owned ingredients. 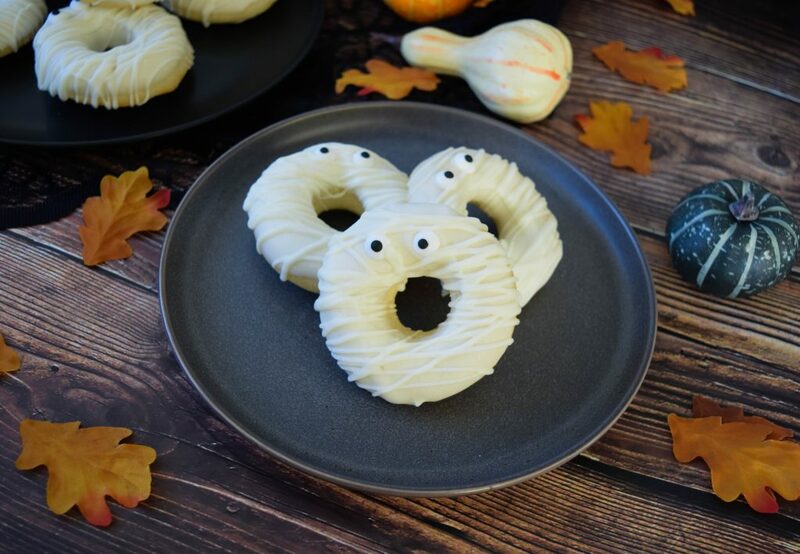 They are so tasty, they’ll disappear before your eyes! 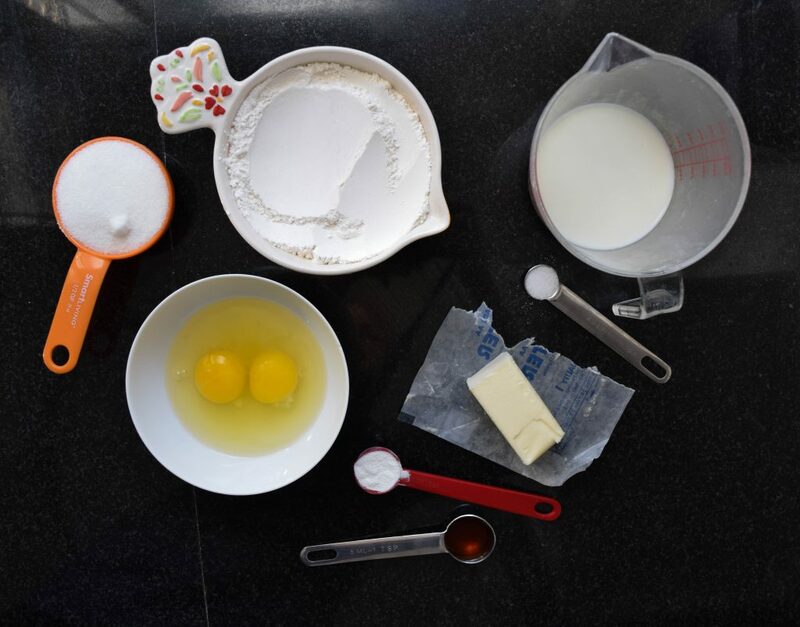 Measure out all your ingredients and make sure everything is at room temperature. 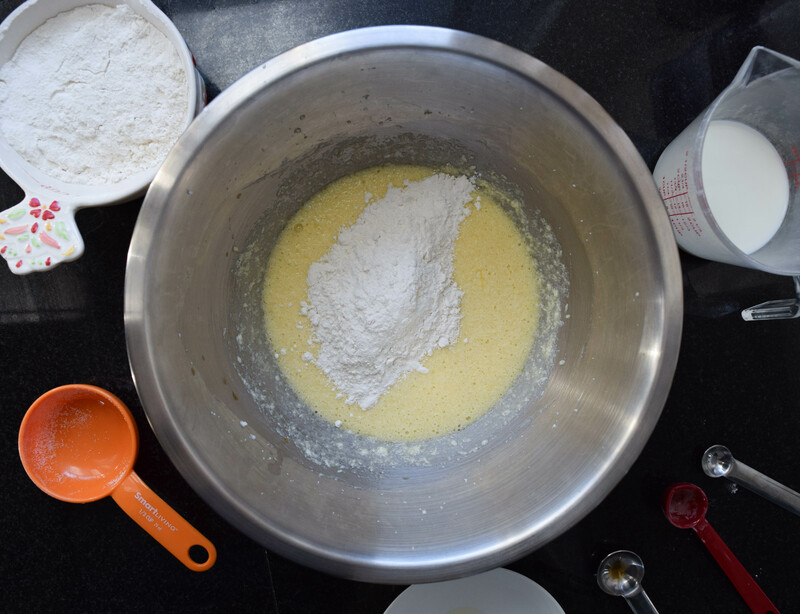 Mix the dry ingredients together in a small bowl. Preheat the oven to 375°F. 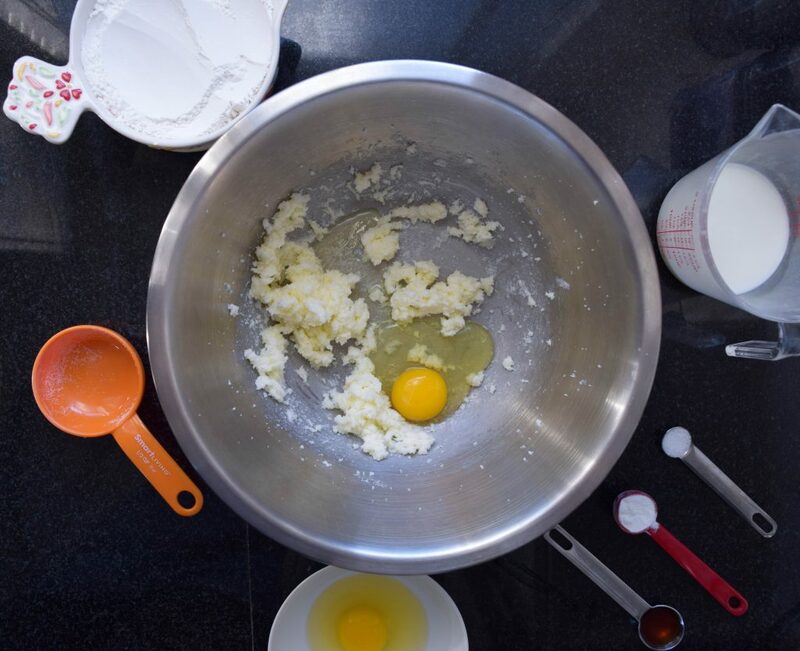 Cream together the butter and sugar until light and fluffy. Add the eggs one at a time. 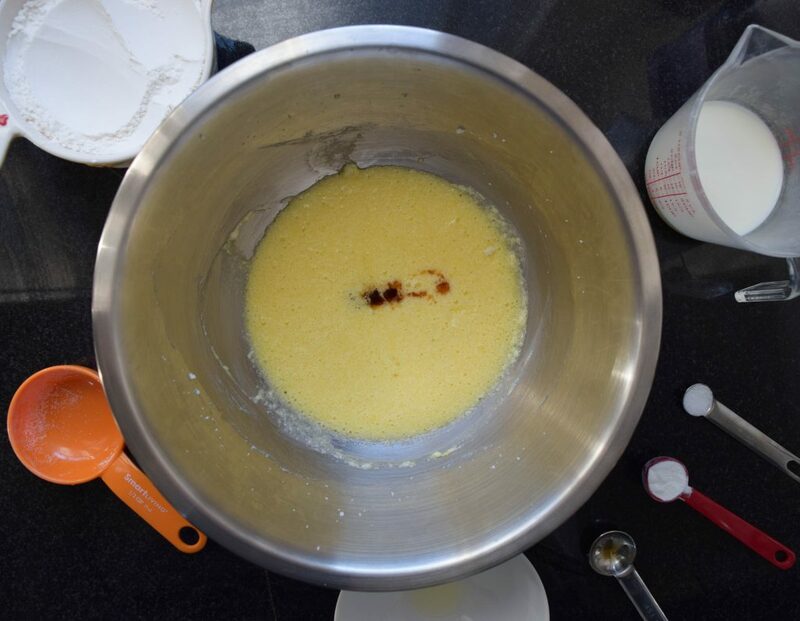 Add one third of the dry ingredients to the butter and sugar mixture. Mix until incorporated. 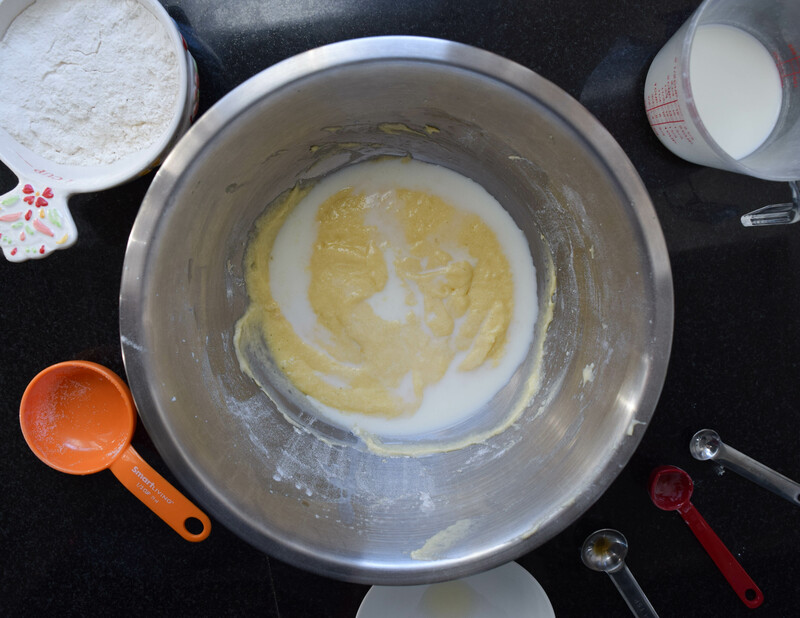 Add half of the milk to the batter. Follow with the second third of the dry ingredients, the remainder of the milk and the final third of the dry mixing after each addition. 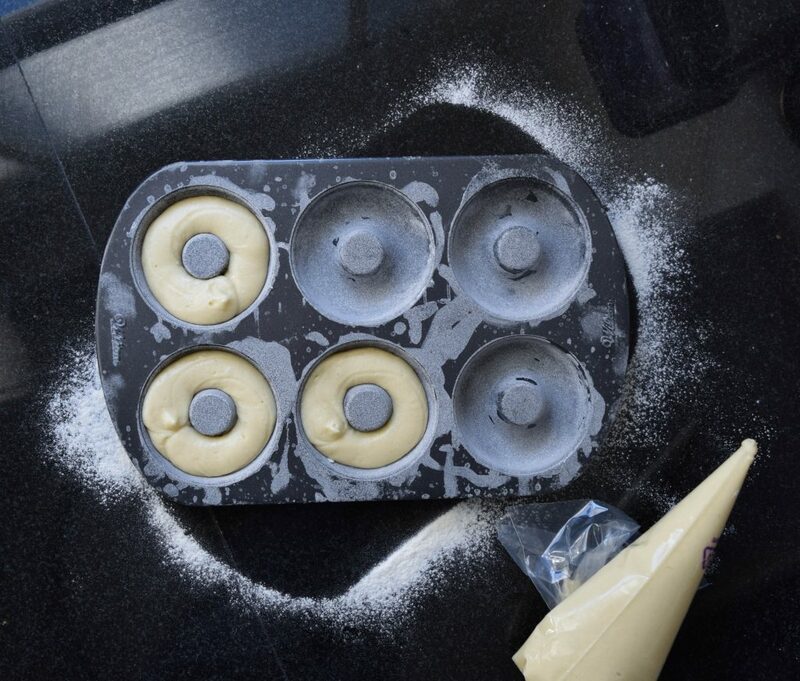 Pipe the batter into a doughnut pan that has been buttered and floured, filling the wells two-thirds of the way full. Place the pan into the preheated oven and bake for 8 to 10 minutes. 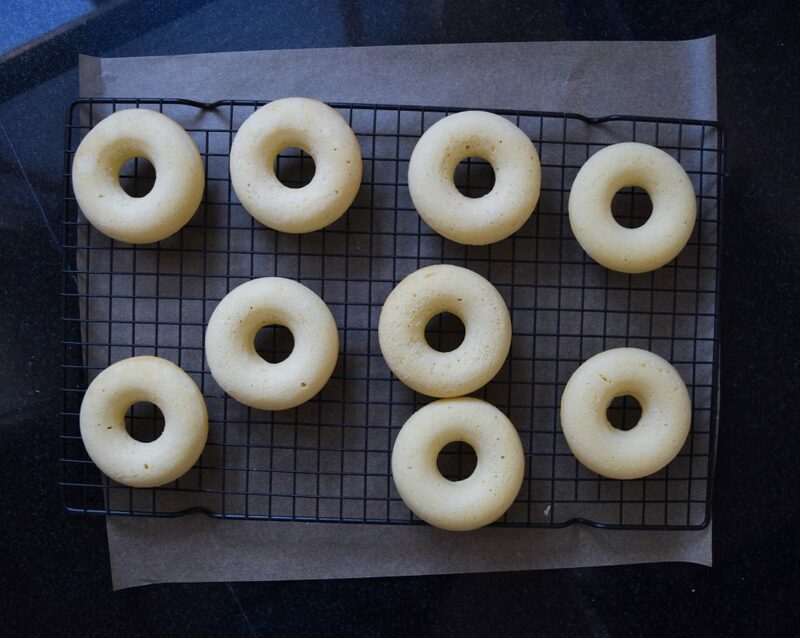 The doughnuts are finished baking when they spring back to the touch and an inserted toothpick comes out clean. 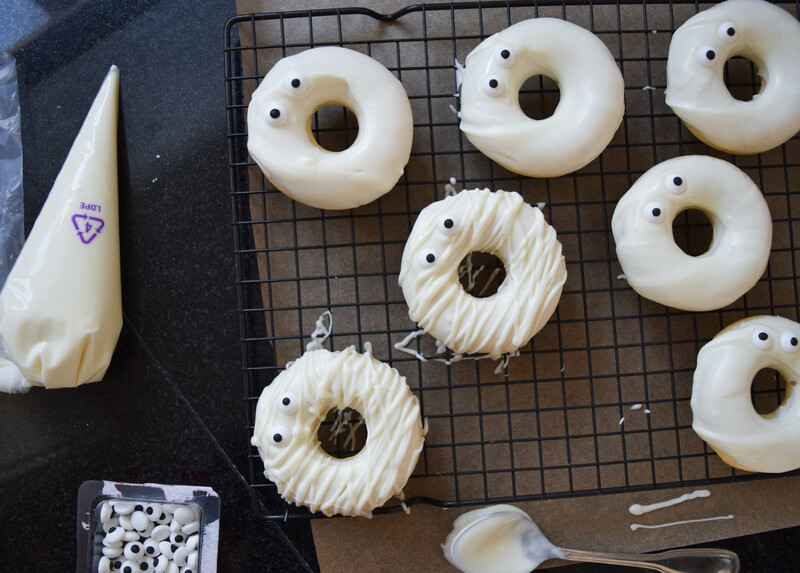 Let the doughnuts cool completely. Melt the white chocolate with the coconut oil in the microwave in 30-second increments. Stir until smooth. Dip the cooled doughnuts into the melted chocolate and place on a wire rack set over parchment to let any excess drip off. Before the chocolate hardens, add the candy eyes. Let the base layer set. Put the remaining from the dipping bowl white chocolate into a piping bag and pipe the mummy’s wraps. Place the doughnuts in the fridge for 10 to 20 minutes to let the chocolate set.